The No. 7 Kennedy boys basketball team bounced back from an opening round loss in the Salem Academy Crusader Classic New Year's Invitational to win back-to-back games and claim victory in the consolation championship of the white bracket. 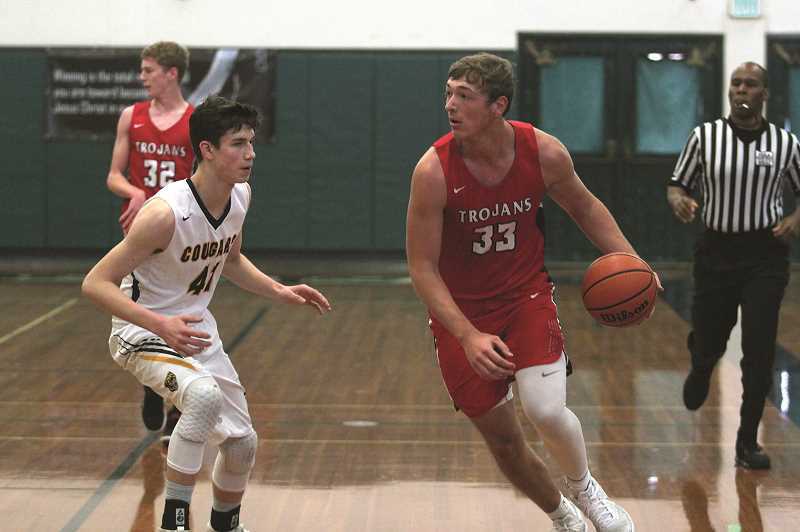 After falling 50-43 against 3A Portland Adventist Academy on Thursday, the Trojans rebounded with a resounding 64-33 win over 3A Cascade Christian (2-12) in the consolation semifinal on Friday. Rocco Carley led the Trojans with 10 points in the loss, followed by nine each from Angel Dela Rosa and Bruce Beyer. 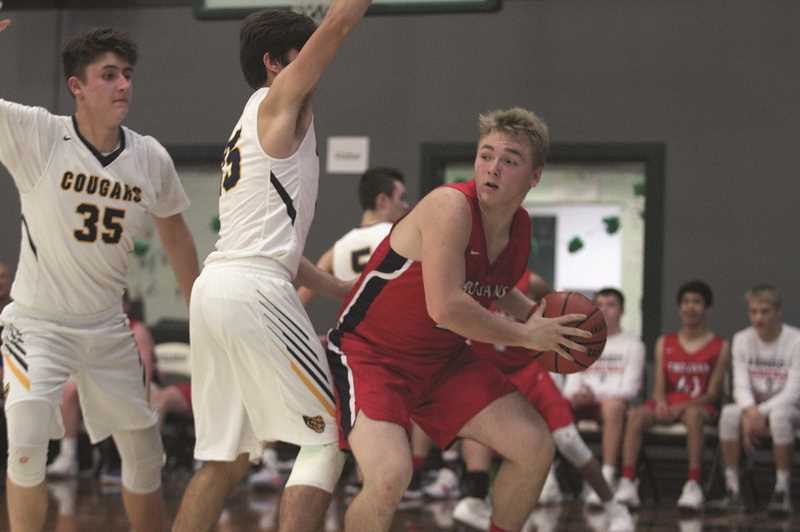 Beyer led the team with 10 points against Cascade Christian, while Carley, Nick Suing, Luke Hall and Carson Hall each had eight in the victory. 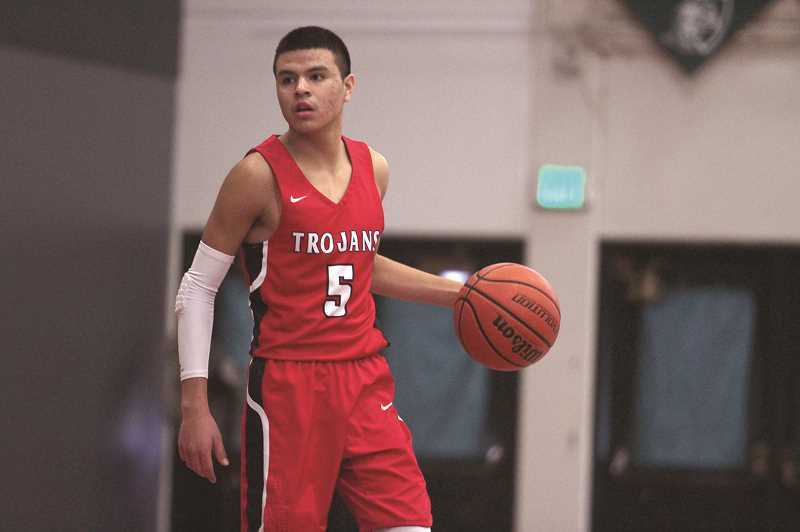 Kennedy finished the tournament with a 54-49 win over Portland Christian (6-7, 1-3 Northwest) for the Trojans' eighth win in the last nine games. Kennedy (10-4, 4-1 Tri-River) were scheduled to return to league play this week, hosting the winless Culver Bulldogs (0-11, 0-3) on Monday, followed by a home game against the Chemawa Braves (4-6, 2-2) on Friday.